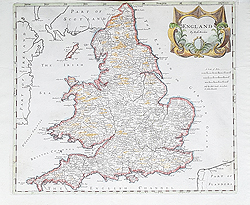 (c.1650-1703) was a British bookseller, publisher, and maker of maps and globes. 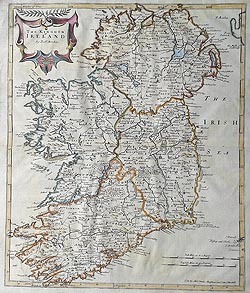 He was among the first successful commercial map makers. 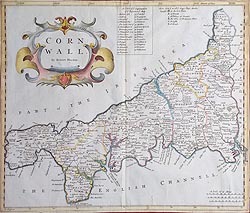 Between about 1675 and his death in 1703, he was based under the sign of the Atlas at premises in Cornhill and New Cheapside, London. 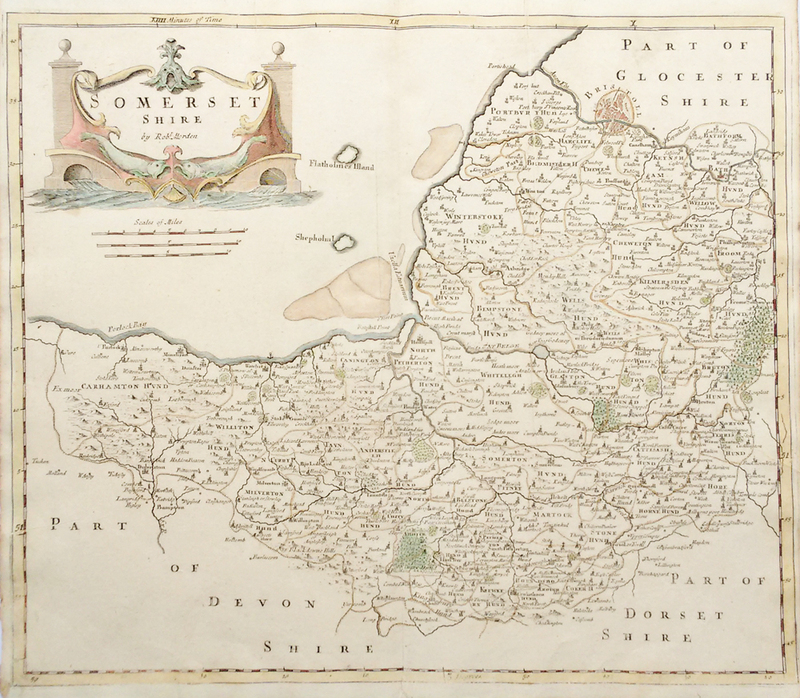 His cartographical output was large and varied. 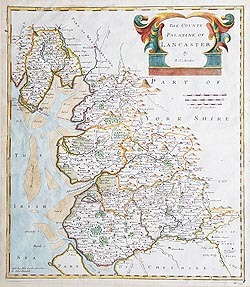 His best known maps are those of South Wales, North Wales and the English Counties first published in a new edition of Camden's "Britannia" in 1695 (circulated during the reigns of William and Mary), and subsequently reissued in 1722, 1753 and 1772. 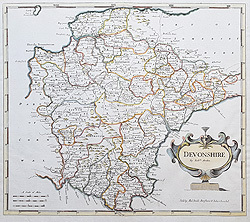 These maps were described as "all new engraved either according to surveys before publish'd or according to such as have been made and printed since Saxton and Speed" based on new information from Knowing Gentlemen of each county, to be reviewed and corrected and are finally described as "by much the fairest and most correct of any that have yet appear'd". 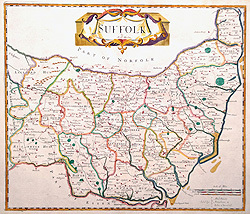 Each had a decorated cartouche, and showed numerous place names. 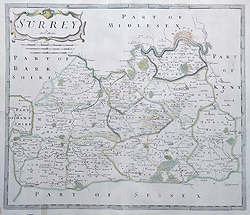 Morden also produced in 1701 a series of smaller county maps often known as Miniature Mordens. 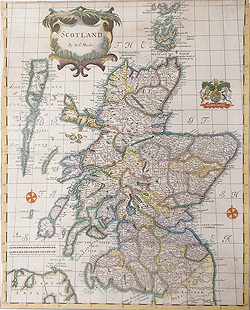 In 1695 he published a map of Scotland. It is in parts (e.g. 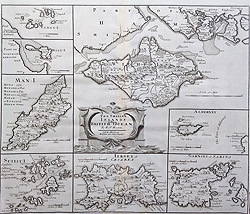 Skye and the Western Isles) essentially a copy of the 1654 map done by Robert Gordon of Straloch, published by Joan Blaeu; other parts show evidence of more accurate cartography. 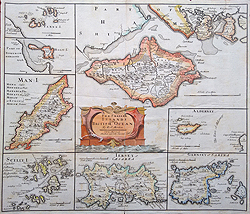 He published a new map of the Tamil homeland, Coylot Wanees Country, in 17th century Ceylon island. 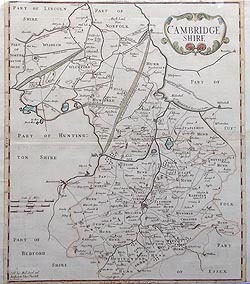 He is also known for several very rare early maps of the British colonies in North America, which are now among the earliest and most sought after maps for collectors of old American maps. 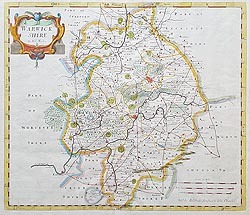 He also produced a series of miniature maps of the world, which appeared in both playing card format and in a series of atlases, including his Atlas Terrestris and Geography Anatomiz'd, beginning in 1687. 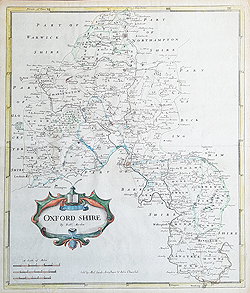 Pocket Book of all the Counties of England and Wales (1680) - Another edition 1750 A Brief Description of England and Wales printed for H. Turpin. 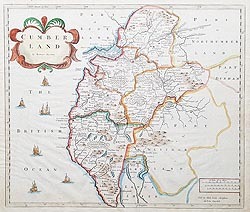 Camden's Britannia, 1695, 50 maps engraved by Sutton Nicholls and John Sturt, other editions 1715, 1722 in two volumes which included 2 maps of Scotland (Nth and Sth) instead of one general map, 1737,1753, and 1772. 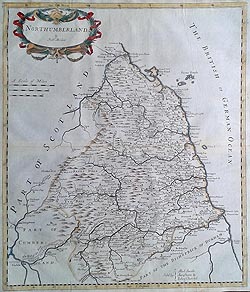 New Description and State of England, 1701, 54 maps. 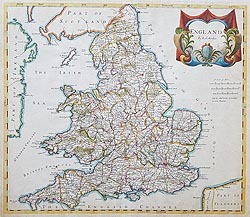 Other editions 1704, 1708 Fifty Six New and Accurate Maps of Great Britain corrected and enlarged by Herman Moll, 1720-31 Magna Britannia et Hibernia with 5 new maps, 1738.